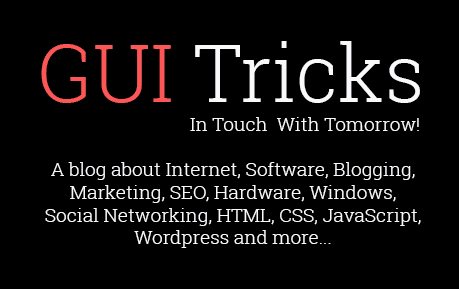 Tricks For Choosing A Modern Telephony Software For The Small Business | GUI Tricks - In Touch With Tomorrow! 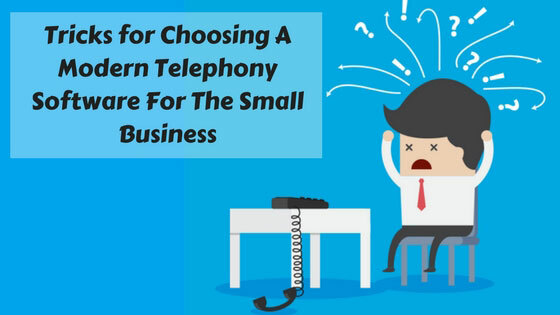 Tricks For Choosing A Modern Telephony Software For The Small Business - GUI Tricks - In Touch With Tomorrow! Today’s IP PBX solutions from the right vendors incorporate virtually all features that a small or medium sized business needs and there is no need to go for tailored solutions that cost more. Ready to go software is so much cheaper, especially if it is the hosted variety. One can take pride in ordering custom made software but customization takes a lot of time. Secondly, there may be bugs that need to be ironed out, all of which adds to delays and makes it kludgy to use. Packaged IP PBX solutions that work right out of the box have all such kinks ironed out and will work without glitches. Hosted IP PBX should display a user interface on the screen with ease of navigation and ease of use. A simple, intuitive dashboard is a must-have feature. Anyone, even those who are not familiar with computer operations, should be able to use the intuitive dashboard. If an app is also made available for use on mobile devices, it is so much more preferable. Even the smallest business has an IT infrastructure comprising of desktops, laptops and smartphones. The IP PBX software is affordable and easy to set up and operate on any of these devices. One only needs to add a webcam, a microphone and speaker to have a clutter-free desktop that runs the IP PBX with a host of features that will enhance productivity while reducing costs. Hardware IP PBX is expensive and needs dedicated devices that cost a lot and take up space inside offices. IP PBX software is affordable but there is a catch. One may have to pay for upgrades at a future date. Hosted IP PBX solution is much better in all ways. For one, you need not invest upfront for the software. Secondly, opting for hosted solutions for IP PBX means that the vendor provides upgrades that are made available to the user in future. Thirdly, one can scale up or scale down services on a pay-as-you-go model. Fourthly, the small business user can use any device, even mobiles, to access and use the IP PBX from anywhere at any time. Fifth, by opting for hosted packages, one does not have to invest in IT hardware or software or the personnel required for their maintenance. The main things out of the way, one can go into more details about specific features to look for in IP PBX solutions for small businesses. Video is one such prime desirable, must-have feature. Look for IP PBX software that incorporates the latest WebRTC solutions. Why WebRTC? This is the latest open source technology that permits video calls and conference through a browser interface. Desktops, laptops and portable devices all have a browser. WebRTC uses the browser for video calls and this is much easier than custom software. There is no need to download any software and one can invite anyone, anywhere to participate in a video call or a video conference. WebRTC spin-off is that it allows screen sharing and multimedia file transfers. Video facilitates business much more than simple audio can ever achieve. IP PBX solutions are highly refined and sophisticated and it is not likely that if a small business user opts for the hosted solution he will need support. However, it is good to know that the vendor is always available to take of any issues that should arise at any time. Communications are important for business operations and if anything should happen, one cannot sit around twiddling thumbs in frustration. Prompt support resolves issues and should be available from a vendor otherwise the solution is not worth considering. Check testimonials and view the customer list of a vendor before plunking down your money on software that will form the backbone of your communications. For those who wish to offer IP PBX as a service, the billing module and rate card feature as well as least cost routing are desirable features to look for in the IP PBX software. Even otherwise, for end users, this gives them insight into how much they are spending and they can easily manage costs. Look for a supplier who incorporates almost all required features in the hosted IP PBX software. This should include multi-lingual support and multi-tenant support—two desirable features for IP PBX service providers as well as small businesses. Then there are the usual features such as Direct Inward Dialing management, phone books, speed dials, blacklist and whitelist, audio call recording, inbound call routing, interactive voice response, voice mail and reporting features. Some other desirable features that are worth having but not absolutely necessary are blind and attended transfers, busy forward, selective forward, caller ID blocking and DND as well as selective acceptance and rejection. Fax to email and the other way round, if it is there, can be of great use for small business. If the vendor offers apps that extend functionalities to smartphones and tablets, it so much better but even otherwise, one should be able to use it if WebRTC is incorporated. Small businesses cannot afford to spend thousands on proprietary systems. The right and affordable solution in IP-PBX is one that is based on open source technologies such as FreeSwitch. Hopefully, this guidance will make you better informed when you set out to get the latest and most suitable IP PBX for your small business. It becomes an investment that repays its cost many times over. Hardi Vora is a Content Strategist, Blogger & Digital Marketing Executive associated with Hodusoft, an IP PBX software provider company. A writer by day and a reader by night, she is having an experience in writing an SEO-friendly, creative and informative contents for distinct industries. Thank you so much for lots of appreciation.